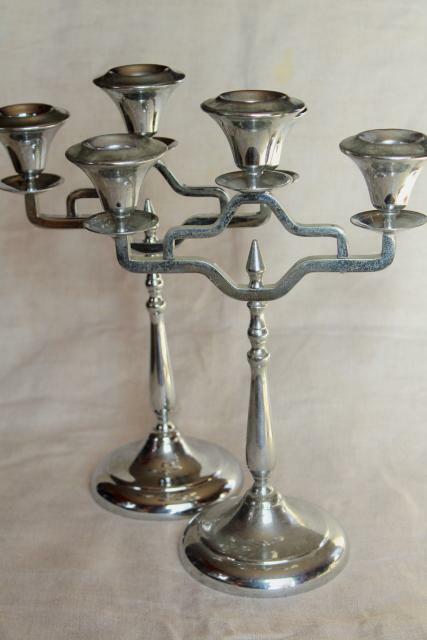 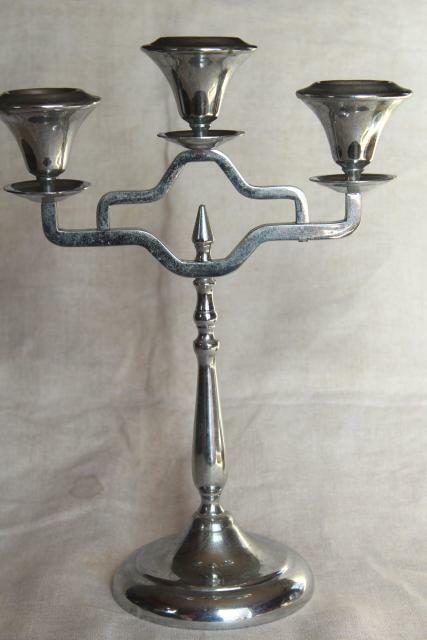 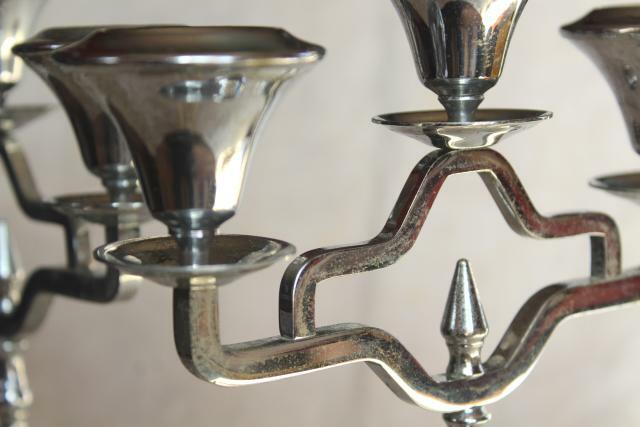 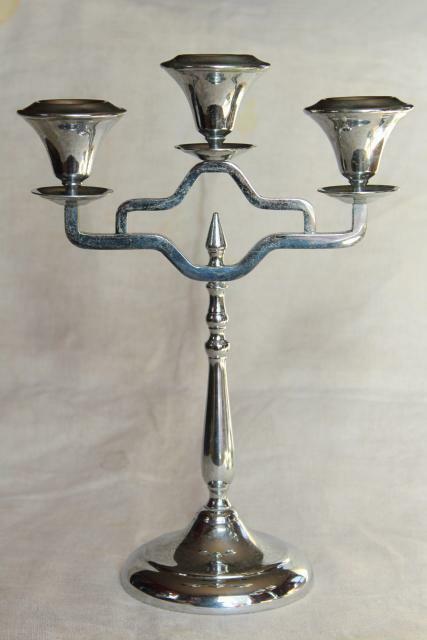 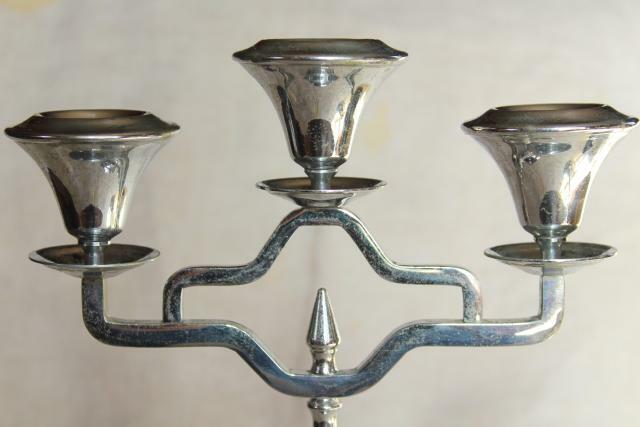 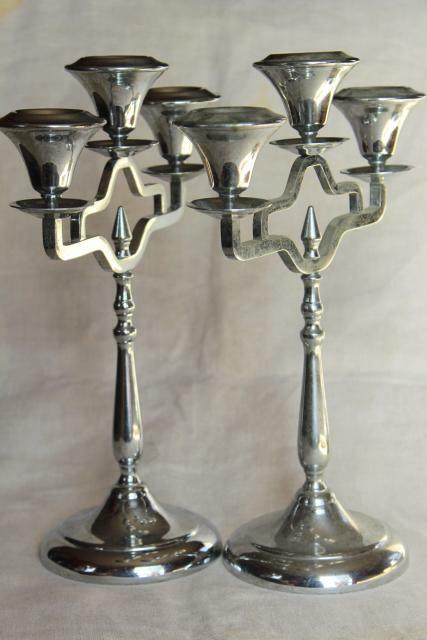 Pair of tall candelabra, art deco style branched candle holders about 11 1/2" in height. 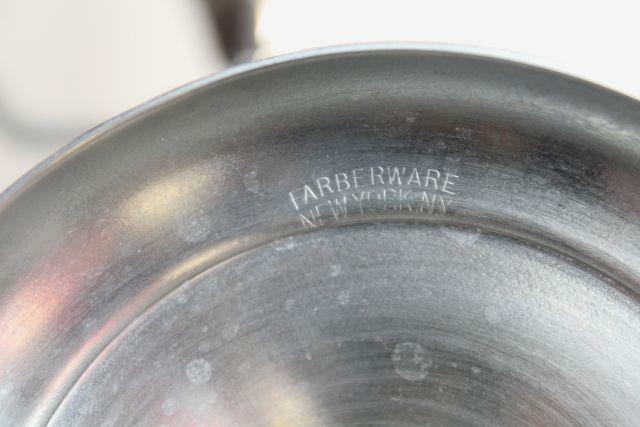 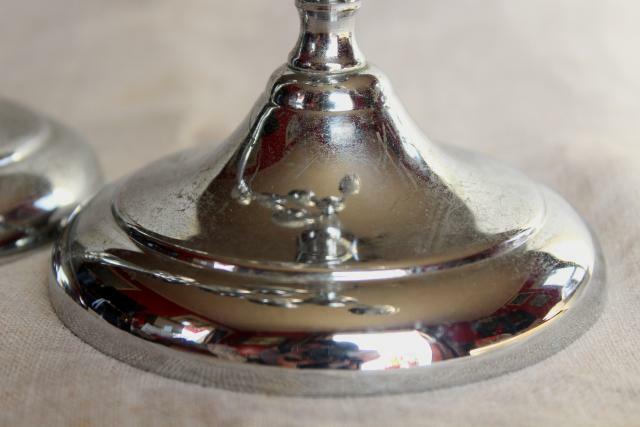 These are vintage Farberware, made in New York. 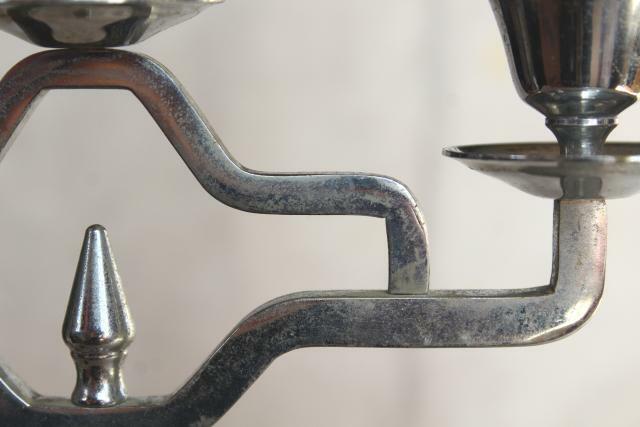 The chrome plating has a little roughness, some pitting and wear. 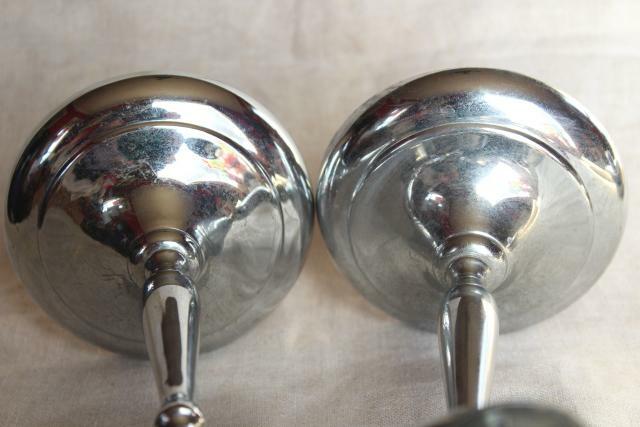 Sounds worse than it looks, these just aren't super shiny. 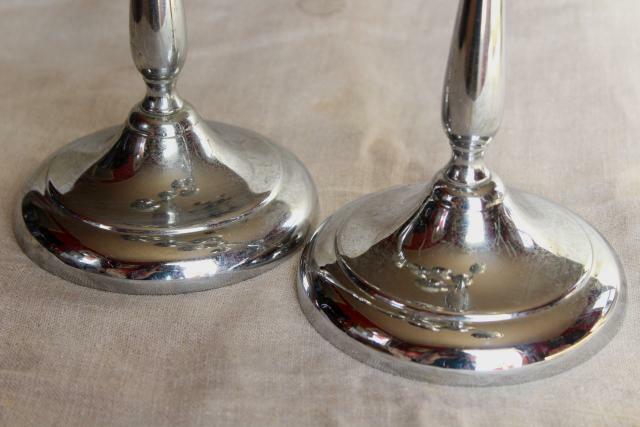 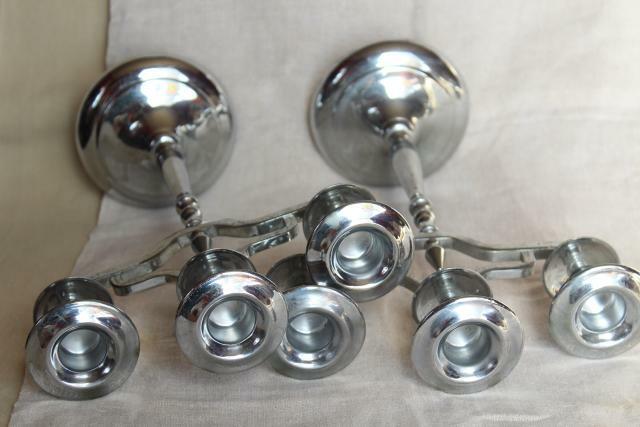 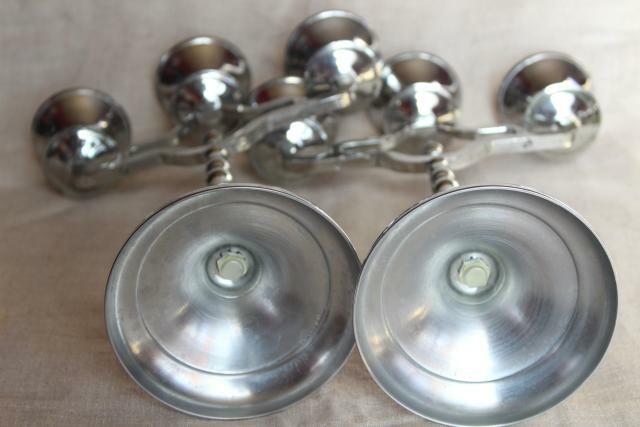 A good polishing would probably help - these are just as we found them, untouched for the last 40 or 50 years.